It is a frosty morning, the air crisp with some haze around the hills in the distance. There is a lot of bird activity at the beginning of my walk along Berry Creek towards Davis Creek. The Wrentits are singing that ping pong ball song on either side of the trail, while White-breasted Nuthatches sing out their yank, yank, yank. I am aware of a loud, high sound across the pastures and then I see who is making this quiet whistled “yelp”. 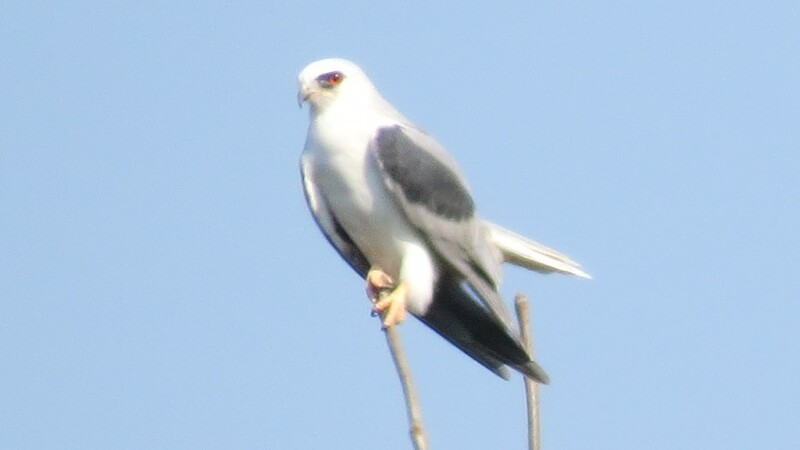 It is the White-tailed Kite, Elanus leucurus, who I see sitting on a distant tree. It is easy to spot because of its brilliant black and white coloring and the distinctive calls it makes. I approach quietly to see if I can get a good photo of this active bird. A very graceful hawk,I often see one hovering on rapidly beating wings over open fields. It seems to flutter in the air like a kite on a string. Before I began photographing them I did not realize they had red eyes. 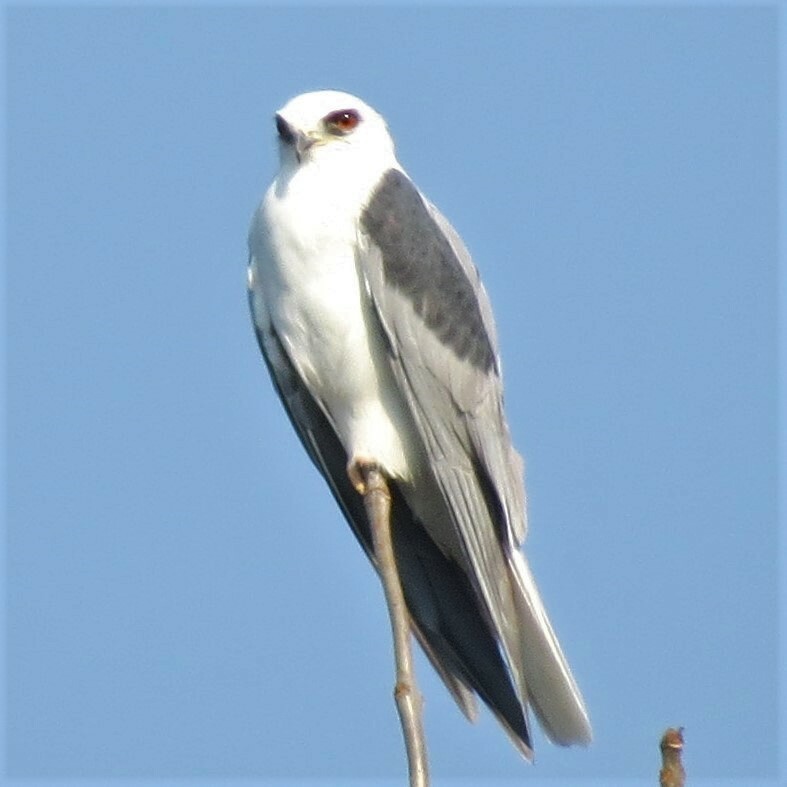 Their white heads and tails and black shoulder patches, with pointy, long grey wings, are diagnostic. 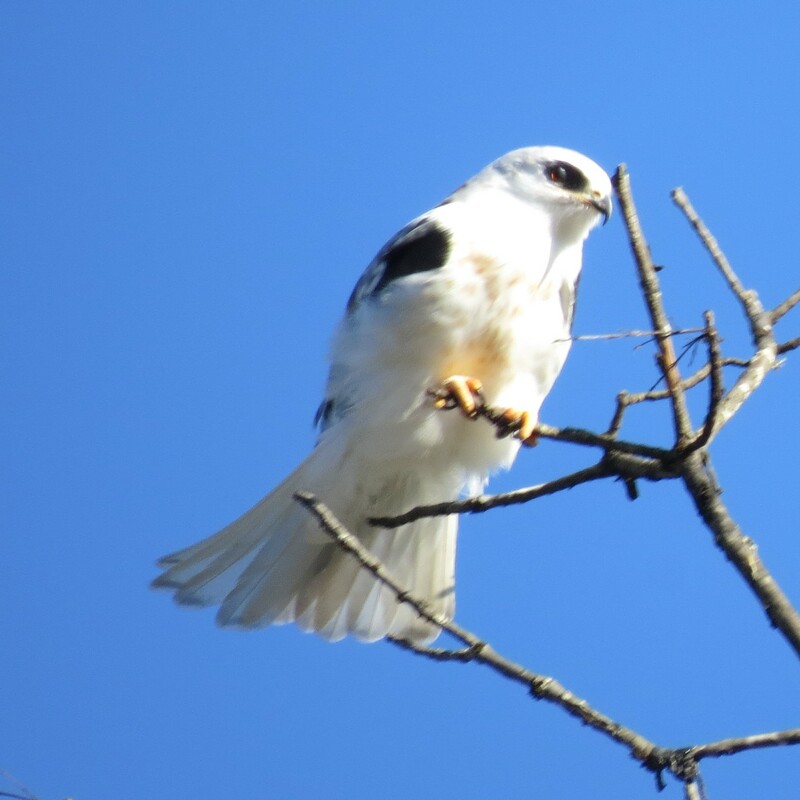 This small hawk was known to eat almost exclusively voles but since the introduction of the European house mouse, it has expanded to eating these and other small rodents plus occasional snakes, lizards, frogs, and large insects. Their population in the 1940’s had really declined but are now more commonly seen. One day a few weeks ago I counted 13 of these extraordinary hawks all hunting together in the same line of Ash trees. We had just done some mowing of the pastures and the voles were probably easier to spot. 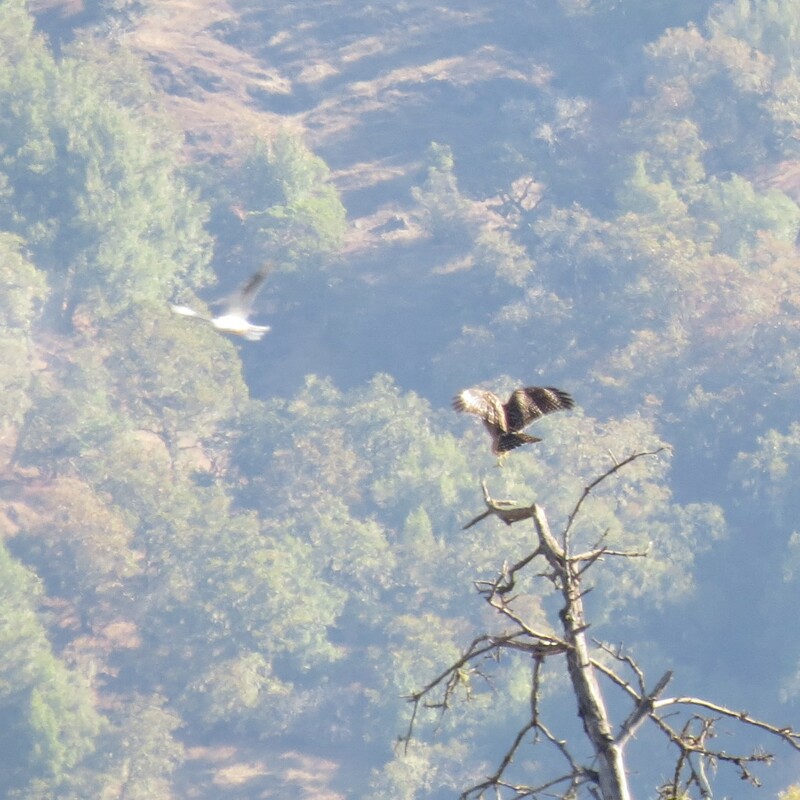 Normally we seem to have 4 pairs of nesting Kites, in our approximately 7-mile long valley, that do not hang out together but keep to their areas by family groups.